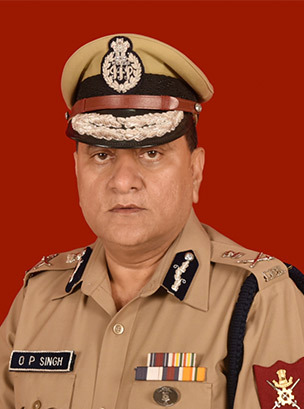 Shri O.P.Singh (IPS, 1983 Batch) is a senior police officer having vast, rich and diversified experiences in various facets of policing like the functioning of law enforcement, security, intelligence and crime prevention, managing mega events, criminal investigation, community policing, human rights and disaster management. National Disaster Response Force (NDRF), under his vibrant and dynamic leadership (2014–2016), provided yeoman services to the distressed who suffered excruciatingly from natural disasters like floods, earthquakes, etc across India and abroad. He led major search and rescue operations in various natural disasters that hit the country during 2014-16. The dedicated teams of NDRF under his inspirational leadership, exhibited remarkable professionalism putting in relentless efforts in the relief and rescue operations and rescued many live victims during the Nepal earthquake in April 2015 attracting the national and international attention, and earning accolades from the United Nations and the Government of Nepal. As DG NDRF, he has significantly contributed towards refinement of Disaster Management Plan, development of capacity building of various stakeholders and conduct of SAADMEx 2015 attended by SAARC countries of the region. 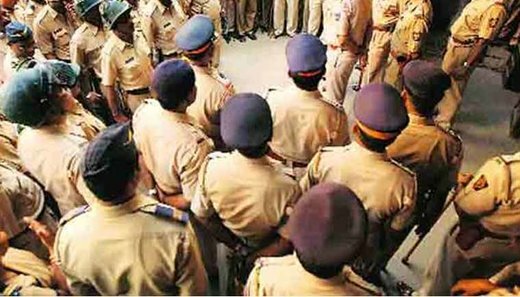 Earlier, he served in Special Protection Group (PM’s Security) and CRPF dealing with issues connected with internal security and in CISF as Addl. DG (Airport Sector) looking after the security of 59 airports and vital installations in the national capital. He was honoured by Uttar Pradesh Government for his excellent service–oriented policing in Ardh Kumbh Mela at Allahabad. With administrative acumen and professional dexterity, he successfully handled and resolved the simmering and long-standing disputes between Shia & Sunnies at Lucknow, which was also highly appreciated by UP Government. Shri Singh has the distinction of holding a Master’s Degree in Political Science from Delhi University, MBA in Disaster Management and an M.Phil from Madras University. He is a voracious reader and a prolific writer and has also authored books titled “Nepal Bhukamp – Jindgi Ki Talaash” and “Safal Arakshi Kaise Bane”. He is embellished with the Indian Police Medal for Gallantry, Indian Police Medal for Meritorious Service, Police Special Duty Medal, Disaster Response Medal and President’s Police Medal for Distinguished Service. He was also decorated with the Distinguished Leadership Award for Disaster Resilience by All India Council of Human Rights, Liberties & Social Justice on International Human Rights Day in 2015. Currently, Shri O P Singh is serving as the Director General, Central Industrial Security Force (CISF), India’s premier Force providing security and protection to the critical infrastructure of the country.